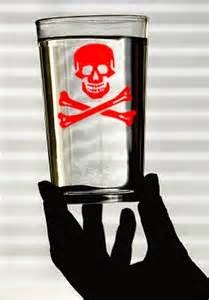 Something not many of us think about anymore is fluoride as an additive in water. Is it mind control? Or something more sinister? New research and reviews show that water fluoridation may not be just a playground for conspiracy theorists. Evidence shows fluoridating water doesn't improve dental issues and actually causes several health problems... Something worthy to sink our teeth into. Before we get to the root of the problem, a little about fluoride: It is widely distributed in the environment, occurring in the air, soils, rocks, and water. It is found in tea and some grains (therefore many cereal products) and foods/beverages processed with water that is fluoridated. In 1945 water supplies were first fluoridated for the medicinal purpose of preventing dental caries (commonly known as cavities or decay) in a Michigan city. WF was widely introduced at 1 ppm during the 1950s. This was when evidence* showed a reduction in dental caries with WF. *Many scientists would like to note this widespread introduction was based on research that was later highly criticised for methodological flaws and selection bias. 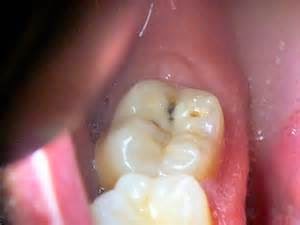 Newer research shows no difference in dental caries between children drinking fluoridated vs non-fluoridated water. Many other countries followed the US and introduced WF, but in recent years have dropped the scheme due to concerns about safety and effectiveness. 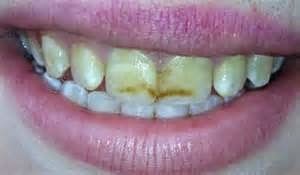 Fluorosis occurs with the overconsumption of fluoride and ranges in severity from minor tooth discolouration to severe discolouration (more info here). In areas where WF exists, the incidence of fluorosis has increased. One of the many problems with WF is that the dose is widely variable depending on how much water is consumed. Further, the remineralisation process is not dependent on fluoride. In fact, the calcium and magnesium content of tooth enamel are more important to fluoride's anticaries effect. This is concerning for individuals who are undernourished - in America about 1% of children are malnourished. 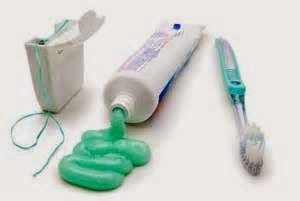 Excessive and prolonged fluoride consumption has been shown to increase development of certain cancers, hypothyroidism, negatively affect IQ in children and increase incidence/severity of dental fluorosis. 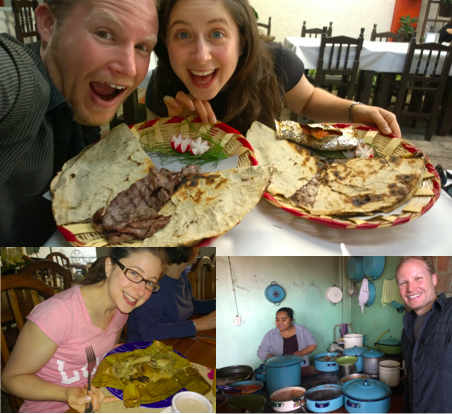 In order to truly do Oaxaca justice, a second article was warranted. 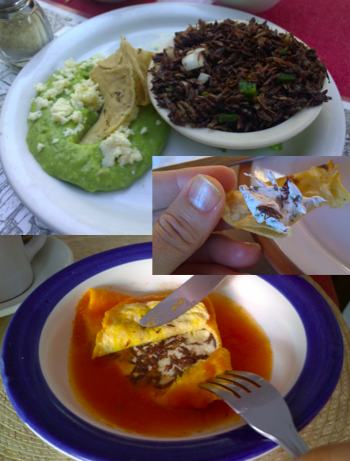 Pt I was a holistic view of Mexico and Oaxacan history and the many foods originating from Mexico (and no it's not all tamales, tortillas and tacos, we're talking avocado, corn, tomato, chocolate, vanilla, etc.) Herein are the things I couldn't fit into pt I: food preparation and some specific pre-Hispanic/Oaxaqueño dishes and ingredients. Our wonderful teacher and her beautiful outdoor kitchen. Also, I admire my husband's willingness to share this picture. Squash blossoms* are readily available in winter, and I'm talking by the bag-full. They're bright and beautiful, and taste somewhat meaty but still delicate. 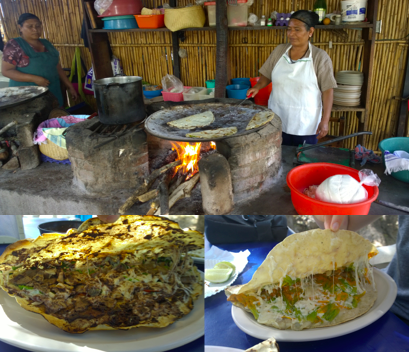 Nutritionally, they're low in calories (surprise surprise) and high in vitamins A and C. They're considered a delicacy and often feature in cheese dishes like enchiladas - which by the way, in Oaxaca aren't smothered in sauce like in the US, they're more like a large, crunchy quesadilla (ke-sa-di-ya). 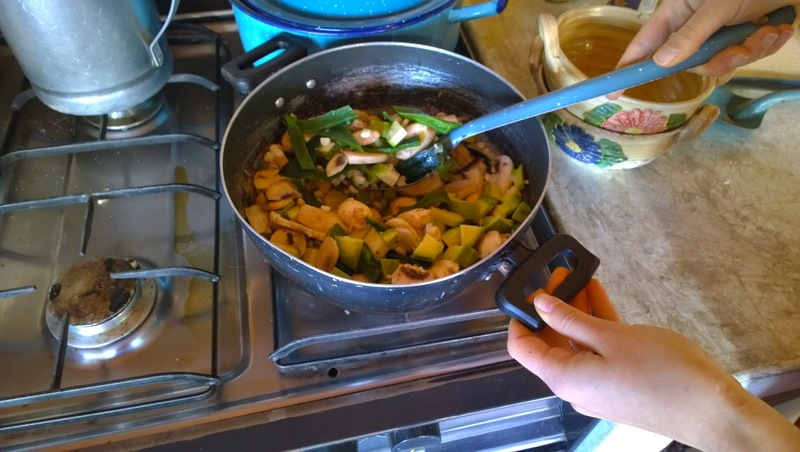 The soup included onion, mushroom, corn kernels and poblanos (a type of pepper) with a chicken broth base. 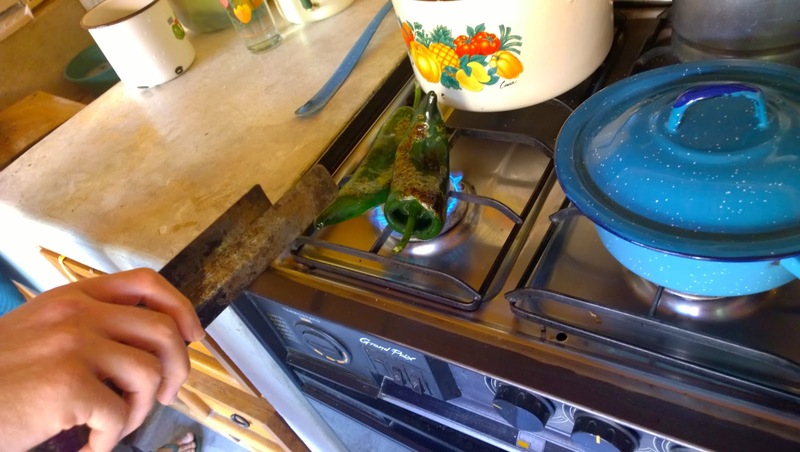 The poblanos were cooked over a gas stove burner until the skin was black, then put in plastic for 5 minutes to steam and par-cook. Then we skinned, seeded, sliced and added them to the soup. The blossoms are added in the last 5 minutes to preserve their delicate flavour and taste. The mole mancha mantele is unique as it contains both a sweet and savoury aspect: pineapple, plantain, apple, allspice and clove, as well as ancho chillies (dried poblanos), onion, garlic and tomato. The fruits are chopped but left chunky in the sauce, while the savoury ingredients are roasted and blended before being strained to make the final sauce. 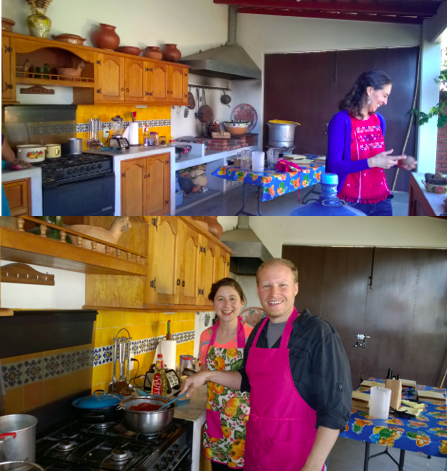 The ancho preparation is the most interesting and probably the most crucial. Anchos have a distinct sweet and smokey smell. No real surprise, de-stemming and de-seeding are the first steps. They are then placed on a flat griddle pan on a gas stove for about 20 seconds per side (longer causes bitterness), then put into hot water for 5 minutes. After 5 minutes, the rehydrated pepers, along with some of their bathwater, join their friends (who were charred on the griddle pan) for a spin in the blender. I mentioned chapulines in pt I and wanted to explain, these are fried, limed, salted and spiced grasshoppers. By themselves they are very salty, but added to an omelet or enchilada... Thumbs up. 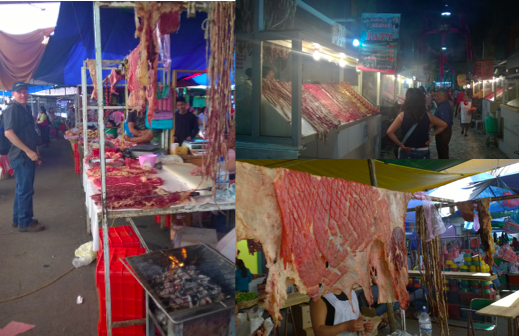 One night at the market, we sat opposite a young couple from Mexico city who described chapulines as "the food of the future" after hearing a group of French tourists turn their nose up at the notion of insect eating. The corn cob on a stick (pictured in part I) is an excellent, falvourful vegetable snack. Why don't Americans have them at fairs? Americans love corn! *For any fellow gardener friends who grow zucchinis or other squash, they use the male blossom after removing the stamen and stem.